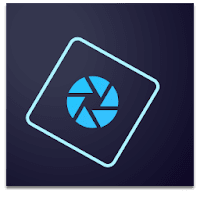 Adobe Photoshop Elements is a powerful photo editing and retouching application for entry-level photographers, image editors, and hobbyists. Adobe Photoshop Elements contains most of the features of the professional version but with fewer options and is a successor of Adobe Photoshop LE (Limited Edition). Adobe Photoshop Elements automates the organizing and editing so you can have fun creating and sharing your amazing photos. Quickly find any photo. Make one-click fixes and add artistic effects to create unique looks. Create collages, slideshows, and cards. Share to favorite social sites. What’s the difference between Adobe Photoshop Elements and Adobe Premiere Elements? Photoshop Elements is designed for people who take lots of photos and want a quick, easy way to make them look great, create with them, share them with family and friends, and organize them so they’re easy to find. Premiere Elements is designed for people who take lots of videos and want a quick, easy way to make them look great, turn them into polished movies, share them with family and friends, and organize their clips so they’re easy to find. Disclaimer: Direct downloads for the lastest version of Adobe Photoshop Elements 15.0 are provided by the official software's author, we can't guarantee safety, availability or download speed. Moreover, we don't and we won't provide any pirated/illegal versions or tools. We recommend you to avoid it as these methods can harm your device. If you like the software, buy it to support the developers. (We provide software discounts for many worldwide brands).